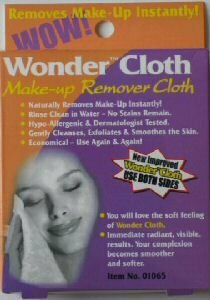 Wonder cloth - reusable and economical removes make-up instantly with just water hypo-allergenic &dermatologist tested made of a combo of plant pulp/cotton fibers. Wonder Pro Red Rubber Sponge 2 Ct.
Removes all face eye and lip make up quickly and easily with just water. Rinses clean with water no stains remain on the cloth! 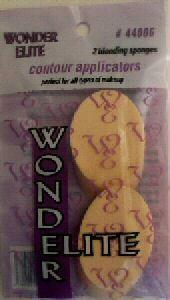 Advanced Enterprises 44006 Wonder Elite Countour Applicator 2 Ct. Specially designed to apply make-up around the eyes lips and nose. 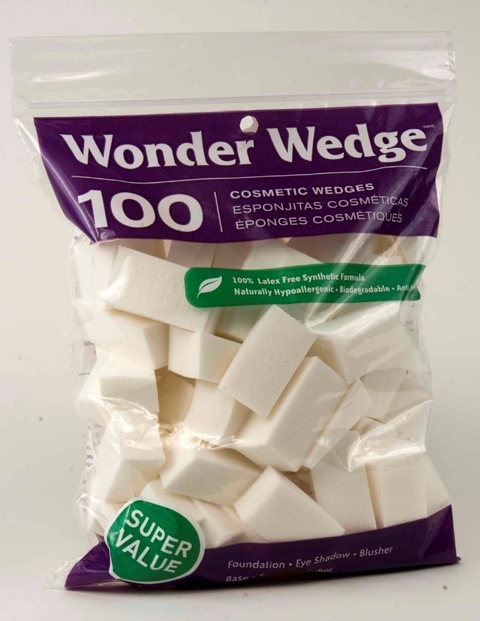 Advanced Enterprises 5000 Wonder Pro Double Sided Flocked Puff 2 Ct.
Wonder Pro Double Sided Flocked Puff 2 Ct.
All Purpose Applicator that can be used with cream liquid pressed and loose powder makeup. 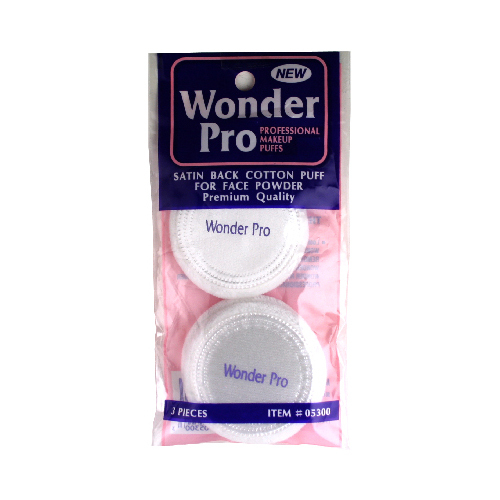 Wonder Pro Satin Back Puff 3 Ct.
Wonder Pro Fluffy Face and Body Puff 1 Ct.